The Village Singers commenced in March 2012 and welcome anyone who wants to sing from Llangrove and the surrounding locality. Our singers are from around Monmouthshire and the Ross-on-Wye area, so wherever you live - come and join us. We sing popular songs along with medleys from a range of musicals in four-part harmony, soprano, alto, tenor and bass, which gives a chance for all sections of the choir to shine. We are lucky to have a very talented and enthusiastic musical director, Tim Murray, who boosts our confidence and skills every week, along with the invaluable talent of Jenny Fox our patient accompanist. From very tentative beginnings we have come a long way under Tim’s leadership. Rehearsals are in Llangrove Village Hall every Monday evening 7.30pm to 9.30pm, during term time. All ages are welcome; students under 16 are free, other members pay a modest fee. 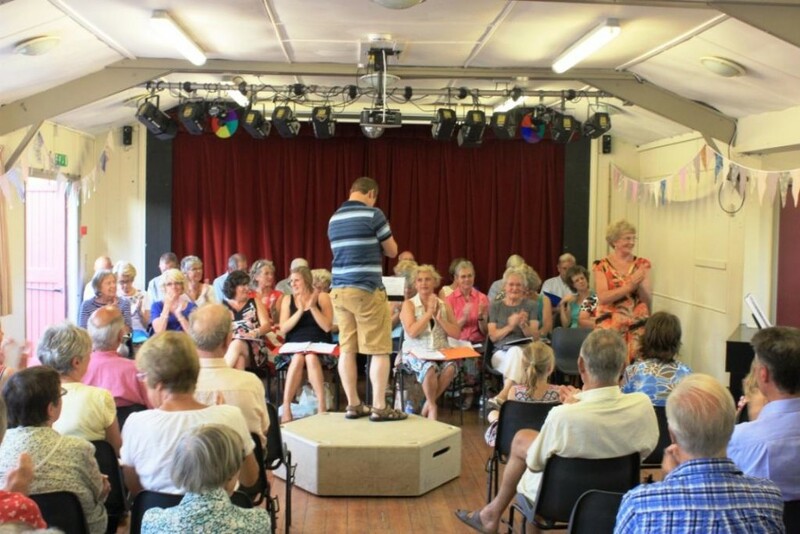 Monday evenings at Llangrove Village Hall are a great social occasion as well as the opportunity to enjoy singing. Everyone is welcome, whether you believe you can sing or not. Come along and give it a try, you will be made most welcome.